Captina is a single, integrated system to run your small to mid-sized DTC-focused winery. The cloud-based system includes an online store, tasting room/POS, shipping and fulfillment, wine clubs, outbound email marketing, inventory, reporting and more. Also included is support, free of charge, because we're passionate about helping our clients succeed. Captina was created by a winery owner who also happens to be the guy who created QuickBooks. Microworks Direct Sales Management Software provides a full suite of Direct to Consumer Sales tools designed specifically for the Wine Industry. Featuring Touch Screen POS, Wine Club, Inventory, Compliance, Marketing, CRM, integrated Ecommerce and Accounting. Microworks tracks every aspect of your customers buying activity and provides you with powerful marketing tools to help sell more wine. From the Bottling Line to the Bottom Line! WineDirect provides everything your winery needs to start, manage, and grow your direct-to-consumer (DTC) business from wine club, ecommerce and point of sale software to fulfillment and marketplace distribution. With expertise in all areas of ecommerce and fulfillment and a longstanding commitment to wineries’ growth, we can help you at every stage in your development. 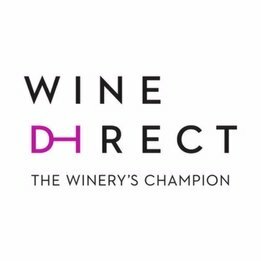 Serving more than 1,600 wineries worldwide, WineDirect is headquartered in Napa Valley with offices in Paso Robles, CA; Santa Maria, CA; Glenwillow, OH; Vancouver, BC; and McLaren Vale, Australia. Part of the Granbury Wine Solutions family of technology, vinSuite provides wineries with a complete suite of technology including e-commerce and website content management, wine club management and CRM, traditional and cloud-based tasting room point-of-sale, and mobile POS. The new vinSuite platform allows winery owners to access customer and transactional data from any mobile device. Learn more about vinSuite. VinNOW streamlines wine sales management, improves efficiency, and increases productivity. Partnering with VingDirect, the power of your collected sales data can be displayed in visual dashboards that help steer you right direction for meeting sales and wine club memberships goals and overall business growth. Helping businesses grow and be more successful, VinNOW helps you work smart and sell hard.